The 2016 engagement season is in full swing! Celebrities are taking the lead in jewelry trends that have everyone talking. While the round cut, solitaire engagement ring is a classic look for brides and will always be such, some brides are branching out and opting for variety with these latest trends in engagement jewelry. Kandi Burruss, star of the Real Housewives of Atlanta, has helped usher in a new trend that’s grabbing hold in 2016 with her cluster diamond engagement ring. Her engagement to husband Todd Tucker was cemented with a sparkling domed oval diamond cluster ring with a triple split shank setting. Cost conscious couples appreciate the savings of diamond cluster rings without scrimping on style. Diamond clusters save money because smaller stones are placed strategically to give the illusion of a larger, single stone. The cost savings can be significant. For example, Kandi’s $11,000 ring would have cost more than $40,000 if made with a comparably sized solitaire diamond. However, saving on the price tag is not the only reason cluster diamond engagement rings are becoming more popular among stylish brides. Those looking for a less classic, antique or vintage look are opting for the delicate appearance that can offer more sparkle found in cluster diamond engagement rings. Diamond clusters are versatile and can be paired with emeralds or sapphires to create a wow factor that a single stone just can’t accomplish. Select flower shaped clusters to bring a natural flair to your finger that’s sure to attract attention. 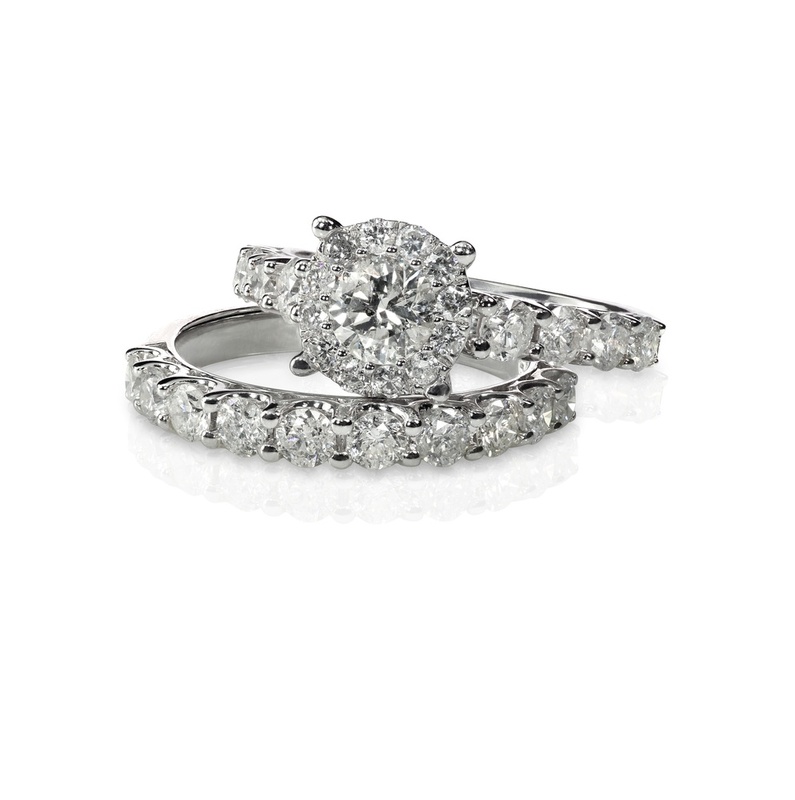 Oval shaped clusters produce lots of sparkle given the number of diamonds reflecting the light. You may want to pass out sunglasses at the engagement party! Clusters are a tasteful way to add more diamonds in a way that won’t break the bank. Look for fancy cut diamonds to be popular with brides this year as well. Princess engagement rings, as well as pear-shaped or emerald-shaped stones are competing with the classic round diamonds that have been a mainstay for years. Fancy cut diamonds reflect the light differently because of the change in facet style and shape. Avril Lavigne rocked a dazzling, large pear-shaped diamond ring when she was engaged to Chad Kroeger. 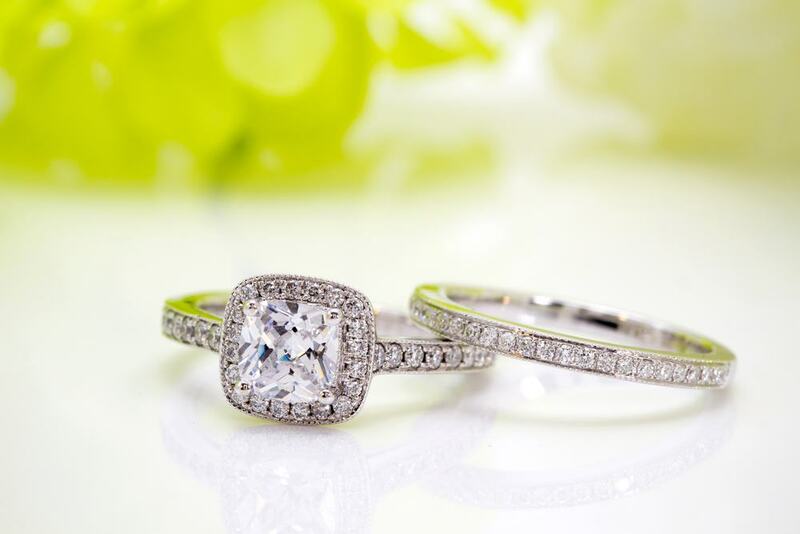 Shapes give your engagement ring an extra level of eye-catching beauty so consider them in your design. Want the size and sophistication without the added costs? Combine trends to create your own clustered fancy cut ring! Add a lot of sparkle to your engagement ring by opting for smaller diamonds all over your ring versus just one large center diamond. This trend is also catching fire among the Hollywood elite. 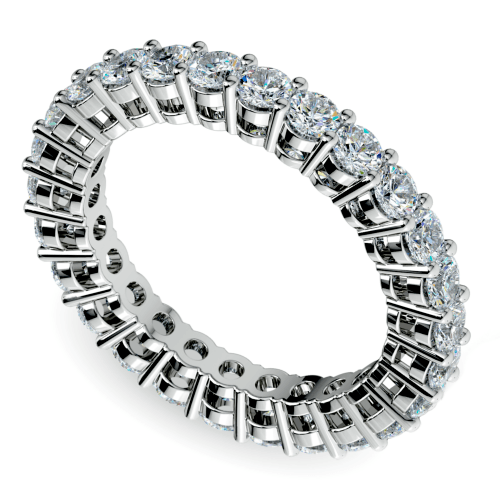 Eternity bands are versatile. You can stack them or pair them with more prominent rings and create a statement piece that has something to say. Eternity bands are even being worn as the engagement ring itself. The options are abundant when adding an eternity band to your collection. This is another trend representing an affordable choice, as a prominent center is often the most expensive part of an engagement ring purchase. A lot of eternity band styles can also be modified later to set a larger center stone, making for a great anniversary upgrade without sacrificing the sentimentality of the original piece. Celebrities are often fashion forward, willing to take risks and known for spotting the latest trends in fashion and jewelry. Catch this wave and adopt these trends to create a unique style of your own worthy of a notable mention in the latest fashion magazine. Your friends will definitely sit up and take notice.